The video files must be sent to biomovies@tve.org.uk using the WeTransfer.com website. Videos may be recorded in any language, but English subtitles must be provided. The film which receives the most views on tve‘s Inspiring Change YouTube channel, will win a round trip to the Conference of Parties (COP 24) in Katowice, Poland, in December 2018 and a place as a youth reporter to assist the UNFCCC Newsroom team with videos, articles and social media posts. 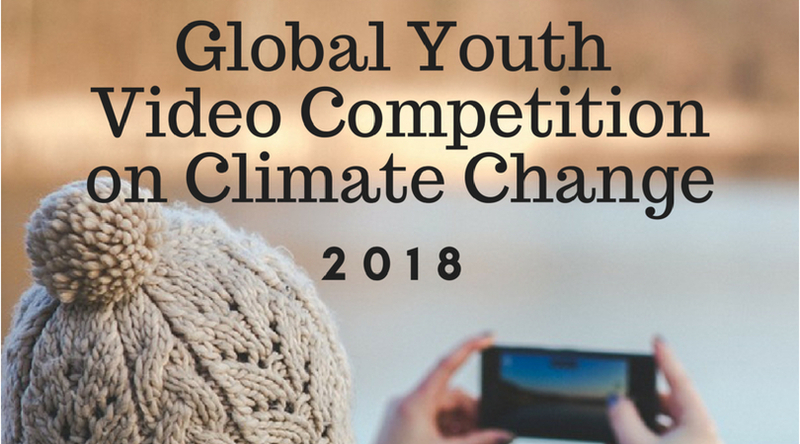 The Global Youth Video Competition on Climate Change is co-organised by the UNFCCC secretariat and the UNDP-GEF Small Grants Programme. Deadline: 31 August 2018, 23:00 GMT.